Wow, am I behind on my book reviews! Today’s novel is set in Newfoundland, or The Rock, as those who live there call it. You can see my review of another book set in the same place, and at roughly the same time, which I did last year here. 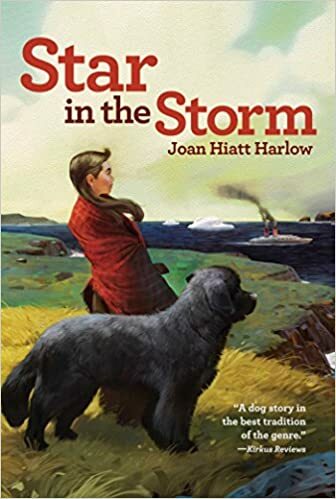 Star in the Storm focuses on Maggie Wells and her Newfoundland dog, Sirius. Newfoundland dogs, for those of you who don’t know, are big dogs with webbed paws and thick fur. Native to the island, they have been used by fishermen and to rescue swimmers caught in the ocean. They’re a very beautiful, loving breed and make great pets. Today Maggie is out walking Sirius when she meets her cousin, Vera. The two go up to their secret hiding place, which is a cave in a cliff or quidnunc behind Maggie’s house. Here they have stashed mementos from earlier years, which they decide to air out this fine morning. While they are up there, wild dogs attack a herd of sheep being guarded by a different girl, Tamar Rand, in a meadow below. One of the sheep is chased off the cliff into the water and Sirius, wonderful Newfoundland dog that he is, goes after it. Unfortunately, he is too late to do any good. The fall kills the sheep, which was about to yean. Tamar accuses Sirius of killing it and threatens to have the dog shot. None of Maggie’s or Vera’s factual defenses changes her perception of the event, and Tamar runs off to get her father to put the dog down. Luckily, Mr. Wells is able to talk Mr. Rand out of shooting Sirius, and things seem to calm down. Key words being “seem to”; the Rand family manages to have a law passed that requires all dogs which aren’t used for sheepherding killed. Since the Wells have no sheep for their dog to herd, this puts Sirius’ life in jeopardy. Determined to protect her beloved pet, Maggie hides Sirius in the same cave where she keeps her childhood valuables. But then a storm blows up, and a steamer crashes into the rocks in the bay. With a hundred passengers aboard who may die without help, Maggie has to make a choice: keep Sirius hidden, or send him out to help rescue the people trapped aboard the ship. I like Star in the Storm a great deal, but I think That Fine Summer was probably better written. This is nothing against Joan Hiatt Harlow; she writes fairly well and tells a good story. That Fine Summer was just written better. Harlow explains at the back of the book that the law was passed in real life, but it didn’t include Newfoundland dogs, which makes a lot of sense. Who would want to kill a Newf? The story about the steamer was also true, but adapted by the author to fit her particular tale. 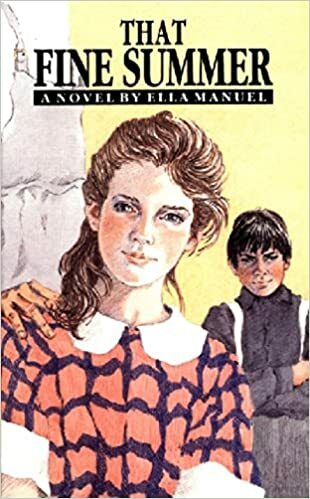 While Star in the Storm is a children’s book, it is one of the better ones to come out in modern times. Though the writing isn’t excellent, it is good, and the story works well. If you want to learn more about The Rock, readers, Star in the Storm is an entertaining place to start. ‘Til next time! 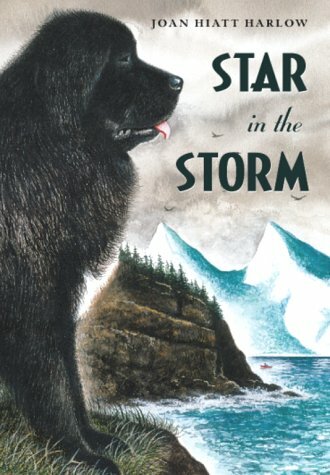 This entry was posted in Book Reviews, Youth Books and tagged Book Reviews, books, books for children, Ella Manuel, Joan Hiatt Harlow, Modern children's books, new books, Newfoundland, Newfoundland dogs, St. John's Newfoundland, Star in the Storm, That Fine Summer, Youth Books on May 11, 2018 by The Mithril Guardian.